I am so blessed to ring in a new year with you and to anticipate God’s goodness and faithfulness in the coming 12 months. Let’s allow 2014 to be more than the next number on a calendar. Let’s deliberately enter into a fresh season and invite Jesus to do something brand new in us and thank Him in advance for what He has planned. His ways are always right. Always fitting. Without having a clue what is ahead in 2014, you can have unshakable confidence that your God will be good to you. He holds you securely in the palm of His hand. I am deeply thankful for you this day and all you mean to His Kingdom. You are staunch servants. Mighty, mighty women of God. I am amazed by all you do in His Name and for the beauty and creativity of His holy calling displayed and parceled among you. You sharpen me and keep me running my race at full speed toward the one and only goal worth setting: the finish line where Jesus stands, urging us forward and waiting to welcome us home. I have a simple truth on my heart this new year but it is washing over my soul like a waterfall. I want to obey God. Stop sowing over and over in the exact same field. I wasn’t looking for it. I didn’t ask for it. I was happy where I was. Like many of you, I like things to stay the same. I loved my circle of relationships and the familiar places I got to serve. I’ve never lost a passion for those places and have often wept with thanksgiving to God for the privilege of walking through some of the same doors again and again. I have a history of long relationships and staying put and that’s how I like things. But I knew God was talking to me. It burned like a branding iron. Every single day for nearly 14 months, that same word has reverberated in my soul and troubled my feet. I have made some strides and taken some steps. The Living Proof Live event team and I felt the urging of the Holy Spirit almost simultaneously to continue to do what we’ve been doing – calling people to worship and the Word – but to become very proactive about reaching the lost and the less-discipled. You will hear us become vocal about this initiative in the coming months leading up to our new LPL calendar year that launches in April. We are passionate to still serve women who know Christ well but we’re also hoping they will join us shoulder-to-shoulder in the accelerated outreach effort that God is blazing in our souls. We are praying earnestly that women will come bringing the lost and the searching and the broken and the untaught. A dying world surrounds us. One that Jesus loves. One that He died and rose again to redeem. The process of change is not simple. It takes forethought and prayerful preparation. We are, for instance, deliberating on ways to make tickets available because we know that lost people aren’t prone to buy tickets to Christian events. We’re trusting God to show us what to do and how to do it. The free ebooks that we’re putting out for the first 10 days of January are part of this initiative. We’re very aware that, when it comes to reaching the unreached, free is key. So strides have been made but they are only first steps. I shared with you the date in 2012 that this word came to me so that, if you needed it, you’d have some assurance that I’m not knee jerking or reacting impulsively. I have had all these months to pray and study and listen to Jesus and ponder His leadership. Fast forward 12 months exactly to the most recent November. A year after hearing from God so clearly about sowing further than the field that I’d loved and served in for so long, I had a very disturbing dream. I can count the significant dreams I’ve had through the decades on one hand so I’m not prone to look for messages in my sleep to keep from having to actually pray and read the Bible. That God can speak through dreams is clear in our own Bibles, of course, but for many of us it is unusual. I don’t feel the release right now to describe the dream though I may someday. What I do feel is a strong compelling to share with you what I knew beyond a doubt it meant. I believe that I can either be obedient to God in the faith walk He is setting before me or He will take my voice. I do not feel that it was a rebuke. I felt that it was a warning. I was saved in childhood but I was 18 years old the first time I ever had a vivid encounter with God and it accompanied my calling. Christ has been so merciful to remain with me through harrowing ups and downs, fears and failings, and flaws and frailties. Good grief, what grace He has poured on my life. What forgiveness flows from His wounds on the cross. I’ve been so foolish at times and learned many things the hard way but I am not new to the believing walk. I don’t look to the air for my words from God. I look to the Scriptures. It is my daily bread. I want revelation any way Jesus wants to give it but I’ve been around long enough to know that, if it is unrecognizable in His Word, it is not of Him. 38 years have come and gone since that day I received my calling. And I have rarely – if ever – received clearer orders from God. I share this with you because I love and esteem you so much and want you to know that I haven’t lost my footing or had a dramatic change in my theology as I tread into a wider perimeter than I’ve served before. I say this to you before I have a single invitation on the docket that is out of the ordinary. I’m not manipulating you in advance of announcing some big plan to you. No such plan exists. No such invitations have yet come that I know of. But when they do, I will take them prayerfully before God and if He says go, Sister, I’m going to go. I must. For lack of a better way to say it, I am not picking up and moving across the fence. I think this is more about dismantling a fence anyway. I’m not leaving Living Proof Ministries. I’m not departing from our mission statement of many years: to encourage people toward knowing and loving the Lord Jesus Christ through the study of His Word. I’m by no means leaving my beloved church, Bayou City Fellowship. I’m not saying goodbye to the blog or this community. On the contrary, we have an active year before us and summer Bible study right around the corner. I hope to enjoy many more years of fruitful friendship and partnership with LifeWay through in-depth Bible studies and Living Proof Live events. They have been so gracious and willing to exceed denominational boundaries. I praise God for them. We must all be willing to exceed denominational boundaries. Revival is at stake. Nearsightedness will trip us and disunity will slay us in the perilous days to come. We can prioritize our denominations over the Scriptures if we want to but we will shrivel up and die on the vine if we do. We who are called to teach must teach the Scriptures even if – and especially when – they differ from our long-held stance. That we will answer for. These are days for bravery. To avail ourselves to the Holy Spirit and a fresh work of Christ in our midst, our healthy fear of God must far exceed our fear of man. I say this with tremendous love. Those who refuse to rock the boat when Jesus is tossing the waves in their faces will never know the thrill of the water beneath their feet. Change is on the horizon and certainly not only where I live and serve. The winds of the Holy Spirit are picking up. We can dig our feet in the ground and demand to stay right where we are. We can toil to maintain things just as they have been for years. And we can be left out of a coming awakening that could one day be recorded in the annals of Christian history. We can throw our boundaries up at God, keep stacking our divisive bricks, and insist that He obey us. Or we can obey Him. God help me, that’s what I want to do. I am too old anymore to let the bullies boss me. And I am too young to quit. Out of the stunning grace of God, I have had the joy of serving among some of the most well-discipled women in the Bible belt. Many of them take notes each week as their pastors preach. They listen to podcasts in their cars on the way to work. They serve their local congregations, feed the poor, and minister to the sick. Many of them have done every Bible study on the market by every teacher available. They keep their faces in the Scriptures. They memorize and evangelize and sacrifice. They are warriors. I’m not worthy of them but I so dearly love them. I have no words to convey how honored I am to have served among them and I deeply hope to serve among them still. But to serve them only – or even primarily – lacks stewardship. God is telling me to get my ear pressed to the ground for opportunities to serve in environments where women are less commonly studying the Bible in-depth. Some of those places may look very different from those I’ve visited before. I make this promise. I will hold tight to the Word and seek with everything in me to teach it soundly. I will hold onto Jesus as the love of my life. I will pray hard and you’ll never waste a prayer on me. The days are short. The times, urgent. For all of us. Need is a part of what steers a call. I have no idea what the future holds. I have no idea where God will send me or if those places will seem different to many of you. But this I do know: if I do not tell Him wholeheartedly that I am willing to go anywhere He leads and serve anyone He says, He is going to do His good pleasure anyway. And without me. I have to go with Jesus on this or my soul will collect an inch of dust on the lifeless, wooden altar of safety and sameness. Thank you for your patience. You have been so gracious to bear with me through this lengthy letter. When all is said and done, I pray with my whole heart that this post will turn out to have been more than just about me. That’s so nauseating. I could have done that at home by myself and saved you the time. But maybe God wants to say something similar to someone else. Maybe it’s time for your next step, too, even if you have no idea where your foot is going to land. Maybe you’ve been raised to keep your faith to yourself…and it’s time to start sharing it. Maybe you’ve studied and studied for years…and it’s time for you to get up and teach. Maybe you’ve been mentored so well that you know it all by heart…and it’s time for you to mentor others. Maybe you’ve been the focal point of much compassionate ministry and you thank God for it…but it’s time now to pay it forward and minister to others. Maybe you’ve been breaking free for 10 years…and it’s time for you to live free and show somebody how it’s done. Maybe all our risk-free living is not really living. And maybe I’ve missed it. But I am about to take that chance. This entry was posted on Wednesday, January 1st, 2014 at 8:32 am	and is filed under Uncategorized. You can follow any responses to this entry through the RSS 2.0 feed. You can skip to the end and leave a response. Pinging is currently not allowed. What an exciting time! And a little scary. 🙂 Will be praying for you as you seek God. Thank you for the free books! Believing God is a favorite of mine. I just finished Feathers from the Nest – it was encouraging for me as a mom, and I loved getting a glimpse into your home life. Thank you for always pointing us to Jesus. Thank God for his goodness and faithfulness. I have noticed over the years that those who have been left on their own just because of their past and how at times those in the church have made it difficult for them to become a part of a church. I myself attended a church that looked differently at those who are divorced, or have a backround of drug abuse or alcohol abuse. I have met many who don’t want to go to church because of the judgemental attitude they see. My past is like the woman at the well who wants to be accepted and loved like those who have been raised in a Christian environment. I know that God forgives us when we confess our sins but the people of God make those of us who have outward sins feel like they can’t move past their past. I hope this makes some sense to you, my feelings are hard to put into words as to what I have been through and those that are like me. God has much work to do in my life and I support you in your ministry of reaching those who need to be mentored and loved unconditionally. God bless you and your staff, you all are in my prayers and I am thankful we have a God who truly loves us and cares about every area of our lives. Hi Mrs. Moore. Been following you for a while now. I even attended one of your seminars in Tacoma, WA a couple of years ago. I don’t know how to write this but here it goes. I am an African American woman so interested in your teaching as others of my race are. I am devoted to my Lord, my family, my Church, and my community. I am privileged to teach a Bible Study in my local church and my hearts desire is to have everyone especially women get to know God through studying his word. I am not looking for a promotion in the Lord by writing this neither am I trying to uplift myself if you know what I mean. Your New Year’s blog intrigued me and I hope that your going outside of your comfort zone means you will start doing somethings with the African American community. I know that Jesus is not color conscious and of course I am not suggesting anything here. Your teaching and your style of teaching is contagious and I want to introduce you to so many women who have not had the opportunity to experience Biblical teaching on this level. Of course we get teaching don’t get me wrong but there when someone excites you to want to study and excites you to want to know God, Jesus, and the Holy Spirit more and more I get all excited and want others to experience just what motivates me. So with all that being said. I am thrilled by the new possibilities ahead for you and I am praying that God allows you to infiltrate my world and ignite our passion for the Word of God. See you in Spokane, WA. I realize that Beth will probably not see this post, but I am saying a little prayer that somehow, someway our Living God will show her the verse that He just showed me as I finished reading her post. LIVING PROOF that is simply who she is and what this ministry is. You are all a “breath of fresh air” and I know that you are making Him proud! Finally got a chance to read this. I appreciate your vulnerability, humility, and deep desire to obey Jesus. Thank you for being a servant leader. I am praying for you! You are a great encouragement and inspiration. May Jesus bless you!! Dearest Beth – Thank you for sharing what God has laid on your heart. It’s such an encouragement because I’ve been feeling restless in my little neighborhood Bible study wondering if any of the dear ladies will ever branch out and be able to lead others. I know even seasoned Christians need encouragement but it seems hard to get a balance between learning and outreach. The need to evanglize and disciple new believers is only getting greater. Thank you for your courageous example. Praying for God’s faithful guiding hand to make your way clear in the days to come. With love and appreciation! I rarely read the blog, but today I am here, somewhat stunned at your message. This is exactly what our godly pastor and elder board, here in Wisconsin, has been telling us the last year. He was disturbed that our church ministry seemed to be teaching “our own” and is teaching us that we need to look outward. Many changes have occurred in how the church ministers. Personally, I was unsettled when the Lord started leading me out of Sunday morning music. That was who I was…what would happen to “my” music now? ( Whose music??? Oh, yes, the Lord’s music.) Lo and behold I am now leading singing in a county nursing home church service. A gov’t facility. I haven’t always gone willingly, but when I look at this with God’s eyes, it makes me repent and be His woman in that place. I am not worthy. What an honor to carry the name of Jesus so carefully in our hands to give away. It’s really easy to type the right words, but living this life takes the denial of our selfishness and being whole-ly His. I love to study, and I have lots of knowledge, I have been asking, “What is all of this to be used for?” I don’t know what is next. But I do feel time ticking at age 59 and want to be intentional about doing God’s will. Thank you for sharing. May the seed fly and grow. Thank you for this blog post. I am applauding every God inspired word of it! You must go where God leads or like you wrote, He could very well take your voice. This world is hurting and in desperate need of Jesus and you are the perfect person to introduce them. Keep running (even if it messes up your beautiful hair). You are an example to all of us. I have been praying about this post since it was first published. I live in Clovis, NM (a town of about 35,000 which is 100 miles from either Lubbock, TX or Amarillo, TX) and I have led bible studies for years-we have done all of Beth’s studies, sometimes twice; we have done Priscilla Shirer, Jennifer Rothschild, Angela Thomas, Tony Evans, etc. There is a group of about 55-70 of us that meet every week from all denominations. We have every socioeconomic group and women of all ages-physically and spiritually.It is my heart for anyone to be able to study His Word because it was truly indepth bible study that changed my life. Many of us have gone to Living Proof events as far away as Phoenix, Denver, Oklahoma City, etc and we are looking forward to the Lubbock event. Several years ago we had a city wide “Crusade for Christ” in our town where Tony Evans was one of the main speakers. While driving him around town, he noticed an abandoned hospital and asked what it was. He challenged us to take the that old dilapidated, unused building and use it somehow to further His kingdom. Years later, that building is called Matt 25 and it houses many ministries that benefit so many in our community. I have often thought how wonderful it would be if Beth would stray from the bigger cities and come to some of our smaller towns and do an event. And along with that, I have thought how neat it would be to reach out to many from that Matt 25 center who come there for help and others from our area who couldn’t afford to travel to a Living Proof event or afford the ticket. I would love to see Beth consider an event in Clovis NM where we would specifically try and reach those who couldn’t normally attend such an event. Please prayerfully consider this for 2015-we would love to have you! Thanks and blessing to Living Proof ministries in 2014! Beth, I was encouraged to read your blog. God recently brought a pastor into my life who left 34 years of pastoring to reach the lost in third world countries. He informed me of how he was asked to speak to some believers in a tribe that wanted to learn more about God. He discovered these believers consisted for 7 widows, in their seventies. They begged him to teach them the word so they in turn could reach their village for Christ. He shared another situation where he had organized a conference to help believers in third world countries to reach the lost. He said one believer in his eighties walked for twenty one days to get to the conference. It broke my heart to realize we in America have so much and the believers overseas are crying out for colaborers in Christ to come help them. I pray God will use the excellent materials you have written and make them available at no charge to believers in other countries that do not have the means to buy them. I pray the believers in our blessed country will underwrite those resources for the benefit of the body of Christ. May God show you the way one day at a time. God bless you always! In all the years I have read your blog faithfully, I have never failed to be impressed. This post is par for the course, and I am so grateful that you shared from your heart. I am encouraged and convicted and confirmed by your faith walk as you described it here. God has laid something on me and as time ticks by, I wonder more and more how it shall come to pass. Your testimony gives me the courage to pray in faith for the Lord to reveal His good timing to me, and to be obedient if He says “NOW”. “I have to go with Jesus on this or my soul will collect an inch of dust on the lifeless, wooden altar of safety and sameness.” Truth like that slays me. I have recently been convicted by a similar thought – “If all the people in my life already love Jesus, then I don’t love enough people.” The Holy Spirit is whispering to all of us who plunder the depths of Christ to plunder the depths of hell to reach the lost because time is running out! My love and respect for you are so great. Go get ’em girl! Thank you very much for the free e books! I have not felt so close to the Lord lately or His people and had asked Him for someone to help. Wala, there were your books. I have really wanted to read some of them in the past (especially the David one, i love David! )but couldnt afford. I got books I hadnt even hoped for, of course I’ve started with the Jesus book.So I just wanted to say thank you. What a wonderful heart vision and passion from God! As in any new adventure we understand that there is much investment of time, hear, soul and energy and if you weren’t investing full out then why start. But I want to ask if we siestas were a part of what you are letting go along with the other parts of your ministry. While Lindsey is a sweet, wonderful girl, we came, joined and continued here with each other to hear from our siesta mama and since this announcement we’ve heard only a weather announcement from her. If this is the direction you’ve decided to take with the blog, then absolutely God bless you! But please let us know. Lindsee, you are a wonderful person and we enjoy hearing from you , please don’t misunderstand, we just miss hearing from Beth. I hope I haven’t come across as complaining or judgmental. I’m just wondering about the direction of the blog and if it will be written primarily by Beth or Lindsee. Hi Joanna, that is not her intention at all. And if it is then she would certainly let us know. However, between writing one Bible study with deadlines looming, teaching an entirely different study on Tuesday night, and all the in between with Passion and Women of Faith, she just hasn’t had a spare minute to get on here. She’s also getting ready to travel to Sydney, which makes things crazy as well. I know y’all miss hearing from her and I can guarantee she misses talking to y’all, but sooner than later she’ll be back! Thx! You all are in my prayers so often! Beth, You may never read this but I can say that the Lord had His hand in my reading this post today. I have tears in my eyes as I write this. I have faithfully led Bible studies for a good number of years. I had been mentioning in the last several that we needed to be doing more than just filling ourselves with the Word; we needed to be reaching out to others. During the last one I facilitated (James to be exact) I had a member of my group approach me overwhelmed. She was very new in her walk and felt she didn’t even know the basics – some of the childhood stories many of us experience in Sunday School etc. My heart broke. Then I decided at the last minute to attend Living Proof Live in Atlanta (I live near Tampa and it wasn’t until later that I discovered you’d be in Daytona – again God). But I walked away from that time with a strong feeling on my heart that I was to work on building the church – those that don’t have any background or very little. No one should feel that God is only accessible to those that grew up or had a foundation on which to build. – Many things have been going on and I didn’t truly understand what until today. (I have Klingy scriptures for my car that I change out monthly.) March 1st Ps 46:10 was the scripture. Then the sermon on March 2 was on being still to hear God. Just today I spoke with my grown son saying I wasn’t really sure why I was getting that message because I had finally stopped searching for what I was supposed “to do”. – Back up just a bit…..the post a few weeks back talked about your teaching about dependencies being removed. I am at a point where mine have been removed. I have wondered why and tried to figure out why I wasn’t being moved in a particular direction. Until today. I know that the Lord is confirming to me that I am to build the church and to work with those that had little or no knowledge of Christ. I don’t know what that will look like where I am – or how I am to utilize my skills and abilities, but I am willing to go with Him as He reaches the lost and broken. I will pray for you as well. And maybe one day there will be the rest of this story to share with you. Thank you for sharing this, Beth!! I am reading it two months late but found it in a link from Lindsee’s most recent post. This speaks to my heart and affirms something similar the Lord has been telling me lately: that I need to share my faith!! I have been quiet for too long, more concerned about what others would think than what my God thinks. I want to be part of what He is doing. My husband and I are praying about and getting information on starting a seeker Bible study. It may require me to leave my beloved Bible study girls I have been meeting with for several years. It is an act of faith, because I tend to want all the details mapped out ahead, but God is showing me how to trust Him. His plans are always better than my plans!! I have been guilty of complacency and wallowing in the comfortable status quo. I fear I’m not alone in suffering from this debilitating dysfunction? If I was wearing a hat I’d take it off to Beth Moore, obedience isn’t always easy, it’s humbling even. 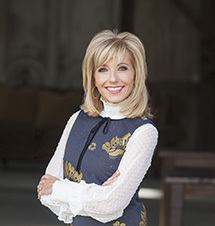 Exciting times ahead for Beth Moore and team. …God warned you to do something or else He’d take your voice? Beth, I reread your blog again last night and have always loved your heart of patience to wait on The Lord and His timing. Of course He is calling you to do this! A thought: what if you teach us to share share our faith story to assist you in encouraging people to know and love Christ.?. I’m finding that so many of us who already know and love Christ are not reaching beyond our walls with our own faith stories because we don’t feel equipped to do so or understand the urgency at hand. Thanks for all you have done over the years and continue to do! I am exactly where you are. After thirty years in ministry, my husband and I are selling everything we have and moving to Haiti in September. Haiti? Never been on the radar. God is moving and so are we! We must. We must. Oh, Beth! Thank you so much for sharing these words. This is JUST what I have needed to hear. Confirmation that I am doing the right thing, even though it is hard. We must love one another as God loves us and He is continuing to impress this upon my heart. And you spoke it so clearly about feeling the need to obey Him for we do not want Him to turn His blessings away from us because we were disobedient. I have to remember…God calls me and I need to obey what He calls me to do. I must obey His call. No matter how hard it is. Thank you, again. Coming upon this post was no accident and how great it is to know that God is still using these words you wrote to continue fanning the flames of sisters in Christ who are wanting to do His will. Thank you, Beth, for ministering to so many of us!